People are queuing for up to 45 minutes to get into church after Christians opened a shop in Suffolk selling unsold and perfectly edible food that was destined to be discarded by supermarkets, reports Network Norwich & Norfolk. Up to 60 bags of food are sold within 20 minutes for just £1 a bag in Felixstowe, as part of a pioneering project in a Church of England parish that could now be introduced across the county. Unsold and perfectly edible food that was destined to be discarded by supermarkets is being donated to a pop-up shop in St Edmund’s Church, Felixstowe. Every Tuesday morning customers arrive at the church and can buy a carrier bag for £1 and fill up to two bags with donated food. Supermarkets, independent traders and allotment holders were approached in Felixstowe to ask if they would support the new project. 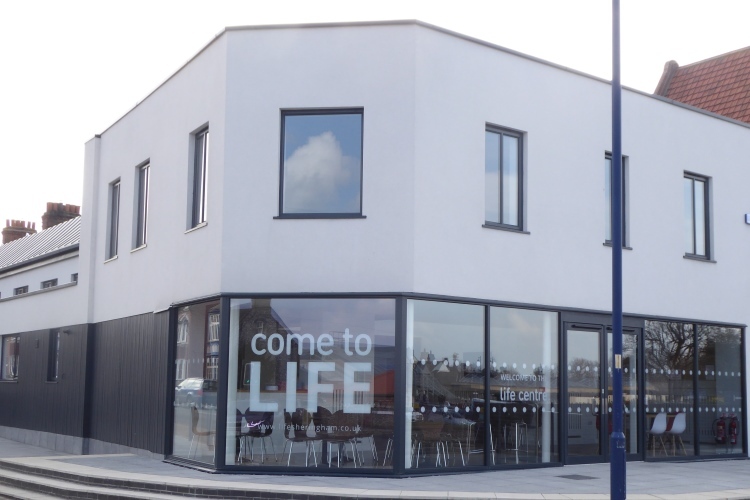 Now, the BASIC (Business and Service in Christ) Life Community Pop-Up Shop is so successful that the concept could be rolled out in the county – and there has already been interest expressed by a church in east London. The church wanted to strengthen its links with the community and build upon work with poorer people and clergy were also conscious that the church had been underused by the community. The Bishop of Dunwich, the Rt Revd Dr Mike Harrison, from Mendlesham near Stowmarket, visited the shop yesterday (November 29). He said: "This is a fantastic initiative which provides hard-pressed families and individuals in times of austerity with access to good and varied food at a knock-down price of £1 per bag. "It's great to see suppliers working with the Church to make this food, which would otherwise be needlessly wasted, available. It is another wonderful example of the local church serving the community in concrete, popular and creative ways." Rev Andrew Dotchin, vicar of Felixstowe for both St John's and St Edmunds, said people queue for 45 minutes before the shop opens and 60 bags of food are sold within 20 minutes. He said: "This initiative is incredibly important since it helps people on the edge of society who are in need but find it difficult to accept charity. They pay £1 so there is a sense of dignity. "They come in and shop and then stay and we start to build a sense of community. It's a really wonderful project." 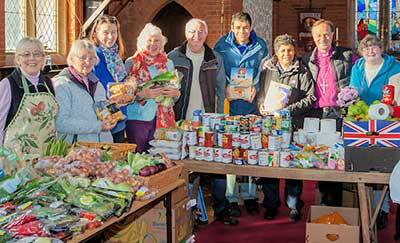 St Edmund’s Church has operated a food bank since early 2013, receiving referrals from Social Services, Citizen’s Advice Bureau and other organisations. However, it was identified that some people needed food but, for whatever reason, they were not using this service. 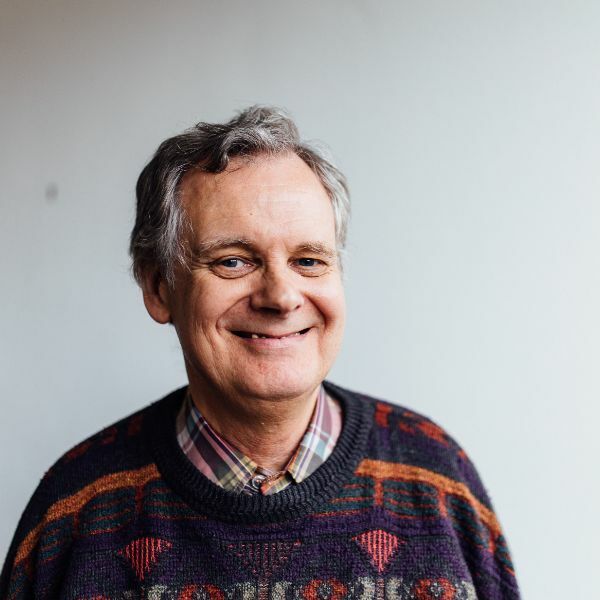 Graham Denny, a founder of the Christian BASIC Life charity that runs the project, said he was grateful for support from Rev Andrew Dotchin and church volunteers. He said: "Sometimes customers queue for an hour for the shop and we now have supplies of fresh bread from a local baker, all manner of foods from our local Morrisons and fresh fruit and vegetables from local individuals. "People are showing a genuine interest in the churches they would not ordinarily visit and are asking questions about faith. We have already had one enquiry regarding a baptism and other serious interest in joining the church. "The project allows people dignity and choice. The food bank items supplied are generally standard rather bland items designed to sustain a family for a few days in an emergency. The Pop-Up offers the customer the ability to choose items from a wide range which they enjoy and we still run the food bank. "We want to roll this idea out throughout Suffolk and much further beyond and I have had contact with Baroness Scott, who presented a paper on food waste from the House of Lords to the Government a year or so ago." Mr Denny said the food scheme is aimed at sharing with the community rather than assisting the needy and this concept is a significant factor in the success. There is also a spin-off for other community projects, with the £1 donations for a carrier bag of food going to other causes. Pictured above are helpers at St Edmunds Church pop-up shop with the Bishop of Dunwich, the Rt Rev Dr Mike Harrison Bishop, ready for opening.